The depreciation of the Indian rupee against the US dollar, simplification of the procedure for NRIs to acquire immovable property in India, and the special tax benefits are some of the reasons why investing in Indian real estate is a lucrative venture for NRIs in the current global economic scenario. 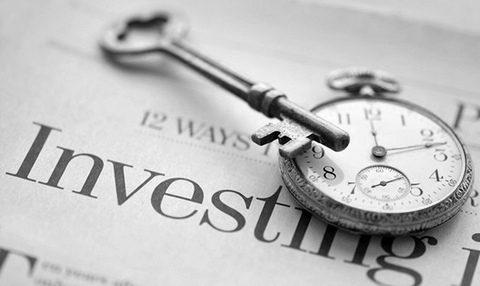 Here a few important things you should know about NRI property investment in India. According to RBI and FEMA regulations an NRI is eligible to acquire or carry out the following types of real estate transactions in India. Purchase any immovable property except agricultural land. This means NRIs can only buy commercial or residential property. Acquire any commercial or residential property in India by virtue of a gift from an Indian resident, person of Indian origin, or an Indian citizen residing outside India. Inherit any property including agricultural land from an Indian resident, person of Indian origin, or non-resident Indian, provided he does not sell the agricultural land. Transfer his or her immovable nonagricultural property to any resident of India by sale. Gift or bequeath any agricultural or plantation land, or farm house to any resident of India. Gift or bequeath any residential or commercial property to any person either residing in India or abroad, or to any person of Indian origin. Financial institutions readily provide home loans to NRIs as they are more likely to make prompt repayments. According to RBI guidelines, an NRI can avail the following benefits for NRI property investment in India. An NRI is eligible to a home loan of up to 80 % of the cost. An NRI can remit the down payment directly from the country of current residence through NRO/NRE accounts in India. The payment of the principal and the interest amount to the financial agency can also be done through similar channels. An NRI will have to pay for stamp duty as well as registration fee at the time of purchase. NRIs are eligible to the benefits on the interest paid for home loan at par with Indian residents. In case the property is leased out, the NRI will have to pay the applicable tax if he or she is residing in a country where worldwide income is taxable and which has not signed a Double Tax Avoidance Agreement with India. In case an NRI sells his or her property then he or she has to pay the capital gains tax as applicable under the Income Tax Act. A special benefit for NRIs is that the amount payable as interest of home loan is deductible from their taxable income without upper limit. Now that you have the basics of NRI property investment covered, all you need to do now before you acquire a new property is to verify the details of the property such as the property title, no due certificate, relevant civic authority construction approvals, and bank release letter if applicable.